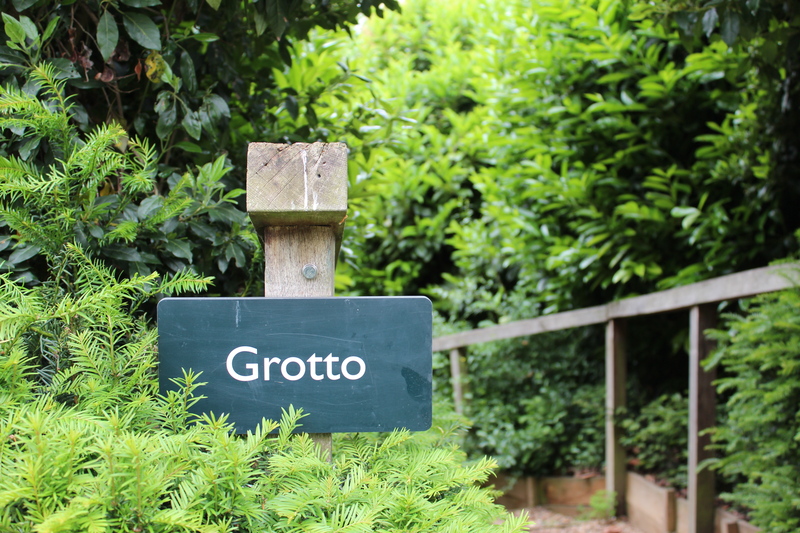 Having explored Alexander Pope’s once magnificent grotto in Part One of this series, we now turn to another grotto in Twickenham with connections to Pope. The grotto located in the grounds of English Heritage’s Marble Hill property – and this one is open to the public – was not only inspired by Pope, but the poet himself helped with the design (and indeed with that of the entire grounds) – ‘assisting’ landscape shaper Charles Bridgeman. Marble Hill was built between 1724-29 for Henrietta Howard, the mistress of King George II. The Countess of Suffolk, as she was later to become, had visited Pope’s grotto and determined to have one of her very own built in the grounds of her nearby Palladian villa. In fact, it is believed that there were originally two grottoes built in the grounds, and it seems likely that the one you can see today is the smaller of the two. It was first rediscovered after a fallen tree revealed a secret chamber in 1941. It was refilled at this time but in 1983 subsidence on the lawn lead to excavations which saw it uncovered yet again and finally restored. 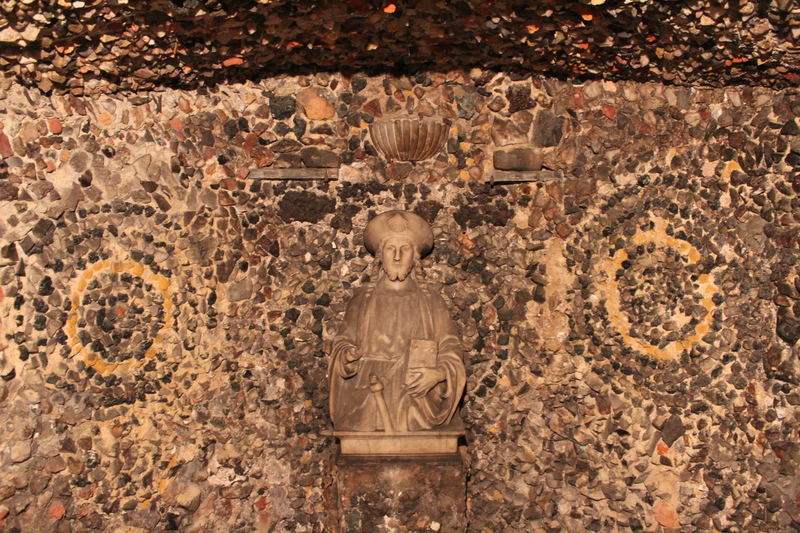 Like Pope’s own grotto, the Countess’s would have originally been more colourful, containing shells, coral and blue glass. Sadly these decorations were too fragile to be conserved so it is now a much plainer proposition altogether. 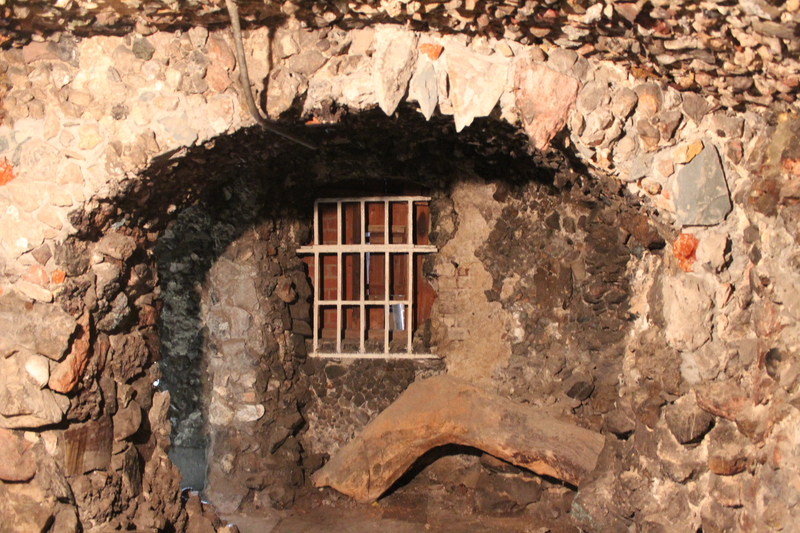 The small ‘cave’ itself is behind bars, and composed mostly of rather barren stone and brick. A stone table can still be seen, though not in the best condition. 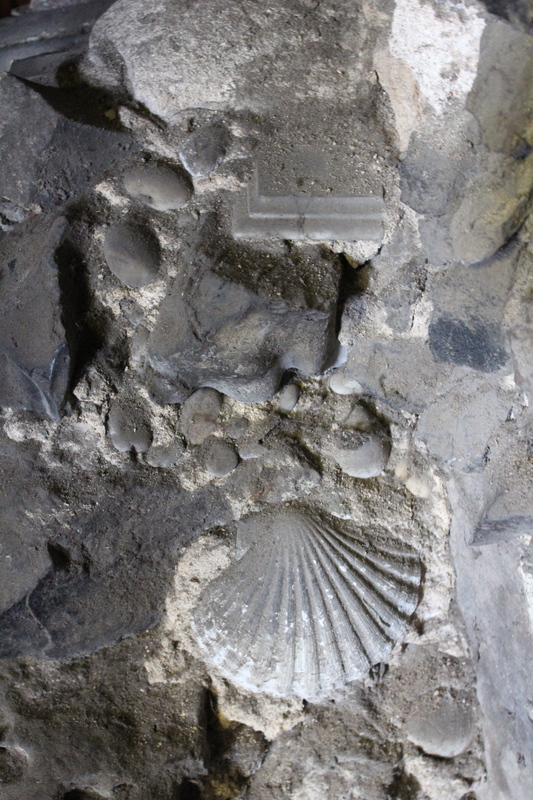 The exterior top part of the grotto is not original but has been reconstructed as it is thought to have originally appeared. 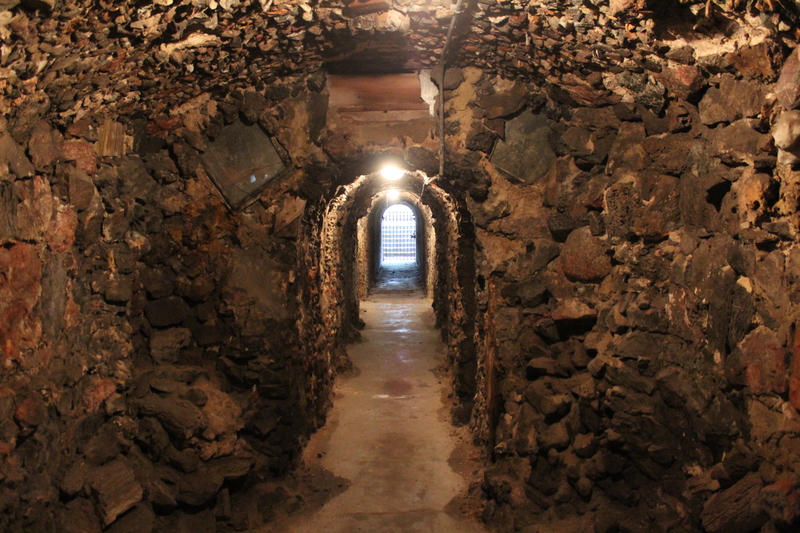 Today the grotto is approached down a set of stairs – another feature thought to be faithful to its original appearance. 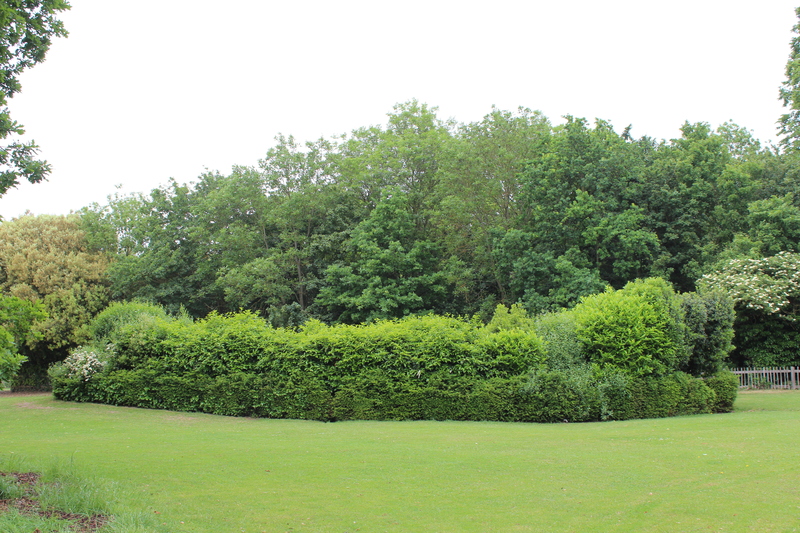 As I approached the grotto from the Thames, it looked like nothing more than a hedge. 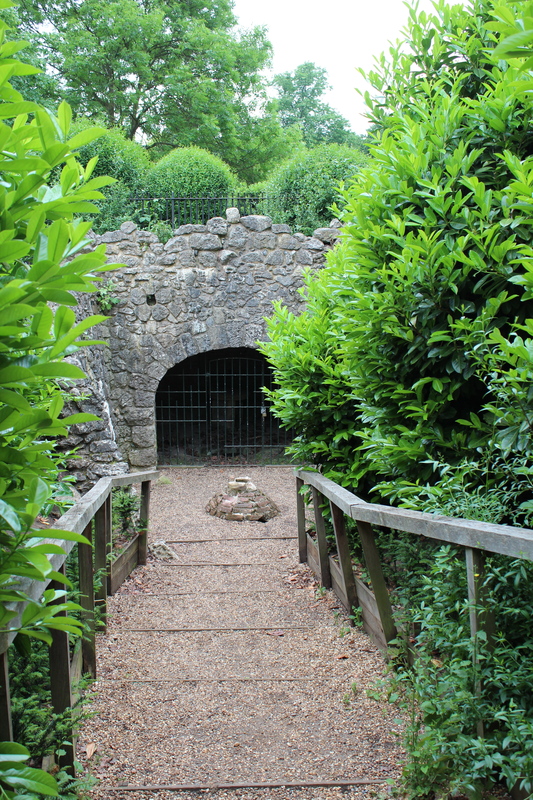 Shrubbery has been planted around the grotto and its stairs creating this effect (earlier photos show the grotto after its restoration with no shrubbery). 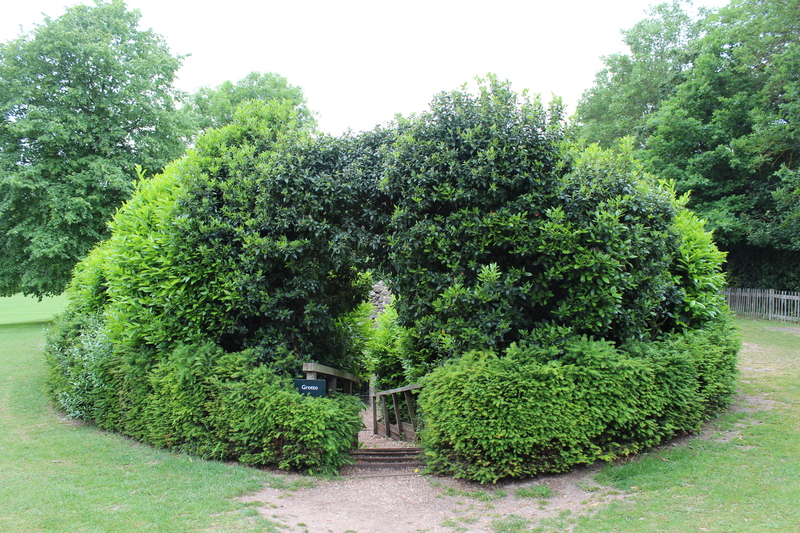 Actually this oval ‘hedge’ is in keeping with a description of the larger grotto as containing ‘an Ally of flowering shrubs’. 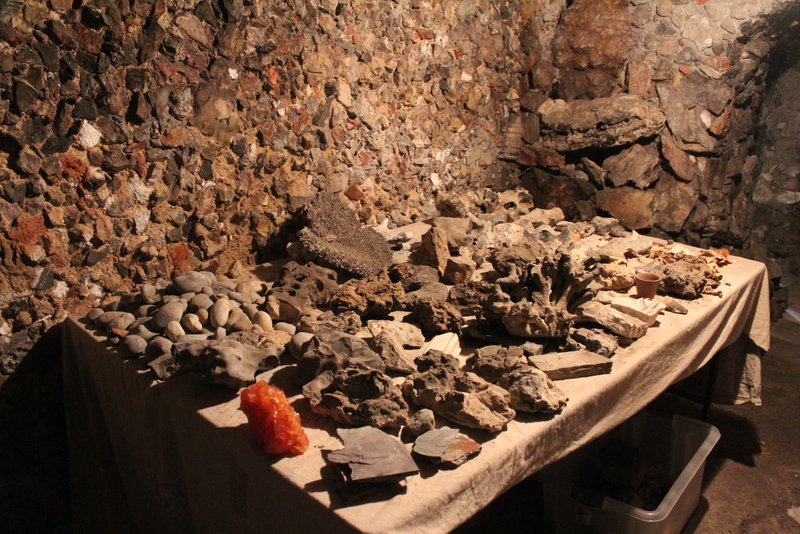 The location of this second, larger grotto remains a mystery. 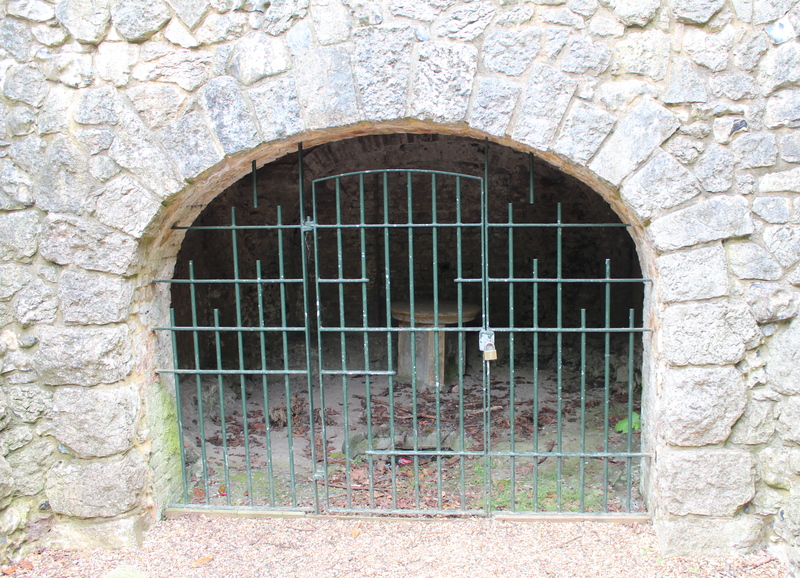 You can view the Marble Hill grotto during Marble Hill Park’s opening hours, which are standard dawn to dusk times. If you’re considering combining your trip with a visit to the house make sure you check its separate opening hours as these are very limited and it’s usually closed throughout the colder months.